Rust-Oleum 1060/1080 High Build Metal Primer is for extra protection of bare or blasted metal, offers maximum durability under severely corrosive conditions. 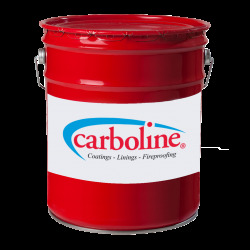 It assures appropriate protection under light industrial exposure conditions, if applied on a Rust-Oleum metal primer followed by Rust-Oleum 7500 Alkythane. Rust-Oleum 1060/1080 High Build Metal Primer is for extra protection of bare or blasted metal, offers maximum durability under severely corrosive conditions. 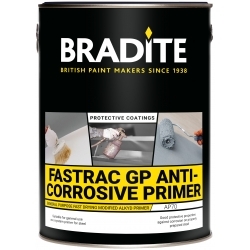 Should be used on new, blasted steel surfaces or on surfaces primed with Rust-Oleum metal primers. 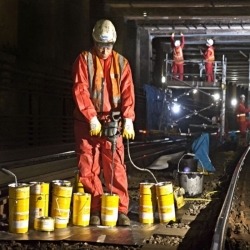 Rust-Oleum 1060/1080 High Build Metal Primer assures appropriate protection under light industrial exposure conditions, if applied on a Rust-Oleum metal primer followed by Rust-Oleum 7500 Alkythane. PLEASE NOTE: Colours in this product are intended for use to improve coverage and performance of the compatible topcoats ONLY. 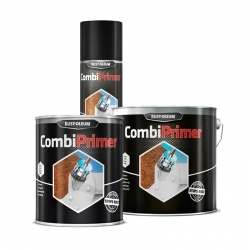 Mixed RAL colours in this product will NOT be accurate, they simply provide a suitable base for the same RAL colour topcoat to be applied. Remove grease, oil and all other surface contaminations by alkaline or high pressure (steam) cleaning in combination with appropriate detergents. For optimum results remove rust, rust scale, mill scale and deteriorated coatings by abrasive blasting to Sa 2½ (ISO 8501-1 : 1988), blast profile max. 50 μm. Sand previous coatings which are in good condition to roughen the surface slightly. The surface must be clean and dry during application. Temperature of air, substrate and coating material between 5 and 35°C and relative humidity below 85%. The substrate temperature must be at least 3°C above dew point. Up to 10 vol. %; Rust-Oleum Thinner 633. Use natural bristles, longhair brushes. Use medium nap, polyamide (perlon 8 -14 mm) rollers. Roller application may require 2 coats to achieve recommended dry film thickness. 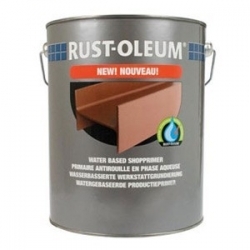 Up to 20 vol.%; Rust-Oleum Thinner 641. Pneumatic and electric airless equipment. Tip size: 0.013-0.015 inch. Fluid pressure: 130 - 200 bar. Check wet film thickness, avoid excessive film thickness. 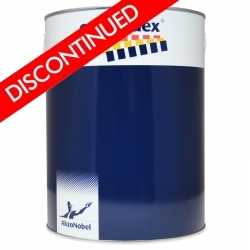 10-20 vol.%; Rust-Oleum Thinner 641. Gravity cup and pressure cup. Tip size: 1.4 -2.2 mm. Atomizing pressure: 2 - 4 bar. 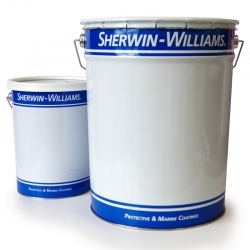 Sherwin-Williams Macropoxy M905 (formerly known as Epigrip M905) is a low temperature curing, two pack epoxy high build undercoat, capable of curing down to 0°C. From Jotun, this primer is for structural steel and piping in highly corrosive environments, ideal for offshore environments, refineries, power plants, bridges, buildings, mining equipment and general structural steel. Jotun Barrier 77 is a two component polyamide cured zinc rich epoxy coating. 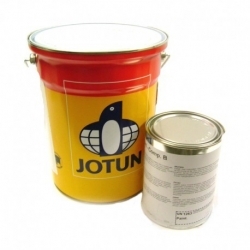 This Jotun Paints product is a high solids, very high zinc dust content primer for highly corrosive environments and can be applied down to 0°C surface temperature. Jotun Barrier Plus is a two component polyamine cured zinc rich epoxy coating. SikaCor EG 1 is a two-pack, high-solids, epoxy-based intermediate coat containing micaceous iron oxide. 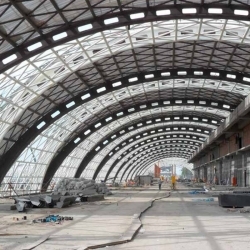 The coating is designed as a mechanically resistant intermediate coat on steel surfaces exposed to atmospheric conditions, hot-dip galvanized steel, zinc-spray, stainless steel and aluminium. Aesthetically pleasing cathodic protection for damaged galvanised steel. 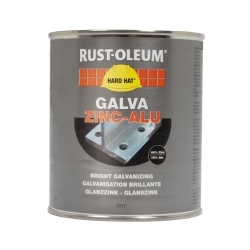 A fast drying, zinc rich coating based on an epoxy ester resin, this Rust-Oleum product contains pure zinc and aluminium as pigments and provides cathodic protection. 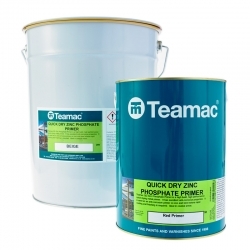 Teamac QD Zinc Phosphate Primer is a high performance, modified alkyd metal primer. It has very good anticorrosive properties. 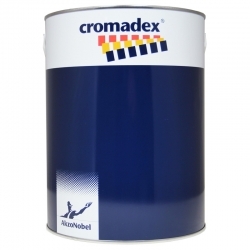 We no longer stock this product, but can recommend Cromadex 306 Quick Air Dry High Build Primer as a great alternative. Sherwin-Williams Transgard TG110 is a zinc phosphate pigmented 2-pack epoxy temporary protective primer, used as a temporary protective for steel surfaces prepared by abrasive blast cleaning.